Broadway In Chicago and Scott Sanders Productions have announced that a digital lottery will begin September 10 at 9AM for TOOTSIE. 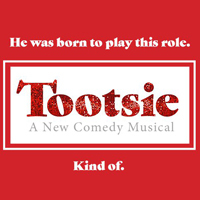 TOOTSIE will play a pre-Broadway engagement at Broadway In Chicago's Cadillac Palace Theatre (151 West Randolph Street, Chicago, IL) for a limited engagement September 11 - October 14, 2018. The production will go to Broadway in spring 2019. · Click the "Enter Now" button for the performance you want to attend.